If your loved one is sick or ill then he or she absolutely need your Get Well soon messages. As it will help them to recover faster and they will be able to know that you care them at their tough times. Actually, real loved ones are when they care about you at tough times. 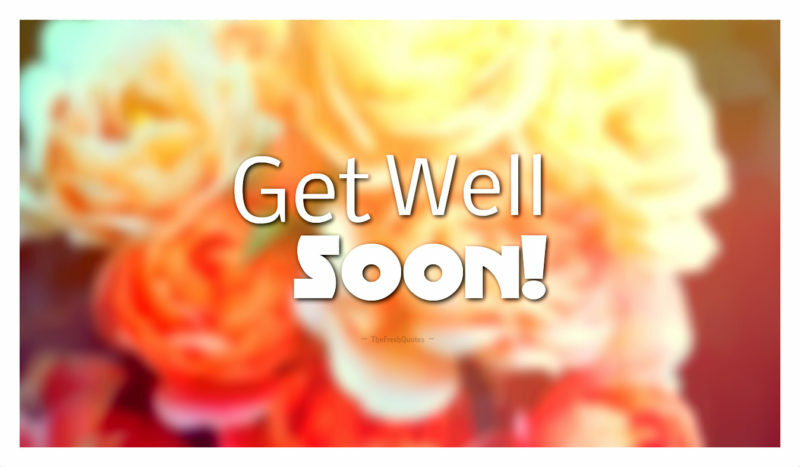 There are a lot of ways to wish get well soon and I have come with a bunch of best Get Well Soon messages or wishes. Moreover, if you can afford a little budget then I would say give them small bokeh of flowers with Get Well Soon card on it, write any of the below messages on that card. Then give that bokeh to your loved one who is sick or ill. This will surely help them to think that you are the only one who cares about me.